This is the last week of school for my kiddos... 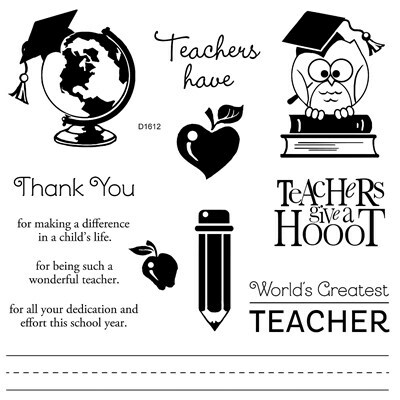 Here's the card I designed for both of their teachers. I used the Teacher Appreciation stamp set which retires August 31. I stamped the "Thank You for being such a wonderful teacher " on the inside.